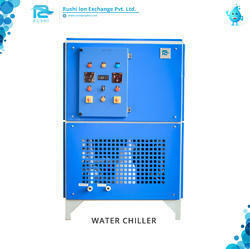 Leading Manufacturer of water chiller from Ahmedabad. Temperature Controller On Display Type. To meet the diversified requirements of our prestigious clients, we are engaged in offering wide gamut of Water Chillers. These chillers are using for cooling water in different residential and no residential places. Our offered chillers are manufactured using optimum grade components and ultra-modern techniques under the surveillance of trained professionals. Further, these are strictly checked under the surveillance of trained quality controllers assuring its flawlessness. Looking for “Industrial Water chilling plant”?